The company's FX prime brokerage has experienced a substantial decline in business in face of subdued market and low volatility. 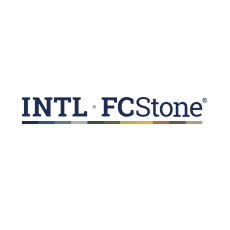 INTL FCStone Inc. (NASDAQ:INTL) has issued its results for the fiscal third quarter of 2014 findings on June 30th. The company has reported operating revenues at $ 118.2 million, dropping by 8.5% when compared to the previous quarter and 4% lower than a year ago. Net revenues have dropped to $76 million, which is down by 11.5% when compared to fiscal second quarter and 7% when compared to last year. Net income was reported at $3.5 million which is higher by 6% when compared to the same period of last year. As for this quarter, the company’s Global Payments business, which was previously a component along with FX Prime Brokerage of the Foreign Exchange segment, has been broken out as the single component of a segment named Global Payments. The company’s Clearing and Execution Services (CES) segment, which provides clearing and execution of exchange-traded futures and options alongside the firm’s prime brokerage foreign exchange services, reported operating revenues dropping by 21% to $27.1 million in the third quarter compared to $34.1 million a year ago and lower by 12% when compared to the previous quarter. Revenues from the firm’s over-the-counter (OTC) component of its Commercial Hedging business have decreased 10% YoY to $22.8 million in the third quarter. The growth sectors in energy and renewables were offset by brisk declines in agricultural and foreign exchange hedging. As a result from the 16% decrease in foreign exchange volumes driven by low market volatility, the firm’s operating revenues from the customer prime brokerage product line, reflected on the “trading gains net,” shed 54% to $2.9 million in the third quarter compared to $6.3 million in the fiscal third quarter of 2013.